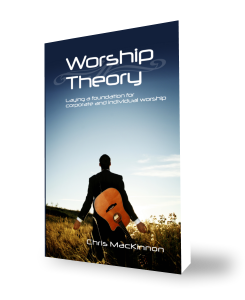 To be a worship leader, you must take into consideration some basic rules of leadership. If you lead worship and haven’t taken the time to read a few books or view DVDs about leadership, it would do you a lot of good to do so. Now, I’m not promoting any authors or works, but I am promoting leadership development. One of these basic rules is that if you call yourself a leader and no one is following you, then you aren’t leading. This leads me into the Law of the Audience. We started our discussion talking about the need for one conductor, one person who is sensitive to the leading of the Holy Spirit, who will direct the other members of the worship team in accomplishing a common vision for worship. Now we turn around and look out at those souls God has given us the privilege of leading into His holy presence. The Law of the Audience: Leaving the congregation behind is not an option. Let’s start with the first red flag you’re dealing with, calling the congregation an “audience.” I have no desire to cheapen the role of the congregation, nor to say that what we do is entertainment of an audience rather than forward participation of a group experience. I use the term audience over congregation, because when we break this Law, it is what we make the congregation. In order to define the Law, I’d like to show you an example of someone breaking it. The congregational worship is “going well,” as the people are responding and worshiping freely. As one song continues to be sung, the chorus is repeated several times. The congregation is looking for the next song, knowing there are usually a couple more in such a service, and they start to lose interest. Several members start to sit down. Others stop singing and politely sway back and forth, so as to look interested. The worship leader, thinking everyone should be enjoying this as much as he is, states, “Are you done? I’m not done,” and then continues repeating the chorus. When we as worship leaders decide that our own worship experience is more important than that of the congregation, we place our ministry in jeopardy. The congregation loses confidence that we have their interests in mind. Our “ministry” becomes one of performance, rather than leading. The key to keeping in line with the Law of the Audience is awareness. We cannot allow our personal experience trump that of the congregation. A corporate worship experience is not the place for that. This is one of the reasons I believe that a worship leader must have regular, personally fulfilling worship throughout the week. The whole point of having a worship leader is having someone skilled and sensitive as a Conductor, lead the whole congregation to the best of his/her ability, to a congregational point of fulfillment in worship. Sometimes the song that worked one week won’t work a different week. We need to be ready to “bail out” of a song at the earliest opportunity from time to time. To do so isn’t a sign of preparing the wrong song list or of being spiritually bankrupt. But it is a sign we’re willing to acknowledge that we’re not perfect and we have the end result in mind, not our own personal agendas. Part of being a good leader is knowing when you are being followed. We must then take that knowledge and adapt, for the good of the congregation. They may not thank us for it later, but the alternative is far worse.